Graduating students and their families queued up today, June 28, in Counters 2, 3, and 4 in Gregorya Montoya Hall (GMH) to claim their program booklets and entry cards for the 42nd Commencement Exercises at Ugnayang La Salle this June 29 and 30. 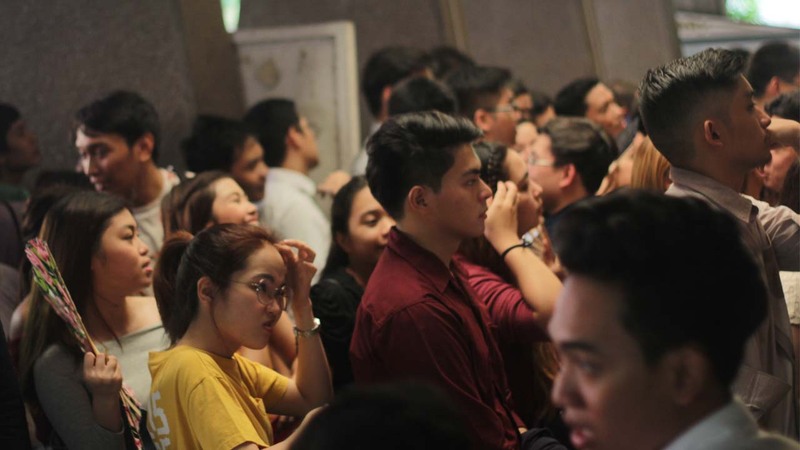 However, the one-day distribution congested the line of graduating students, causing overcrowding as lines reached the Ladislao Diwa Hall (LDH) and inside GMH grounds. HAPPENING NOW: Graduating students and their families queue in Counters 2, 3, and 4 waiting to receive their graduation passes for the commencement exercises to be held tomorrow and on Saturday. 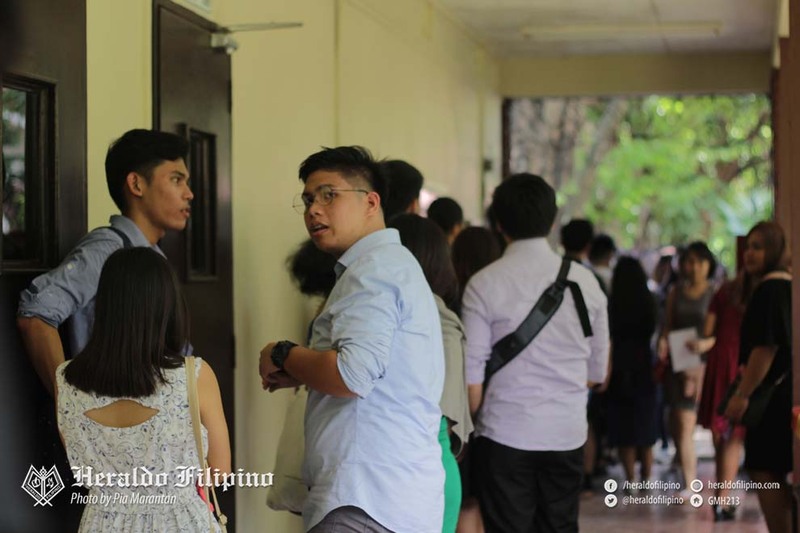 According to the students interviewed by The HERALDO FILIPINO, they were only informed of the distribution of graduation passes during their graduation rehearsal practice. 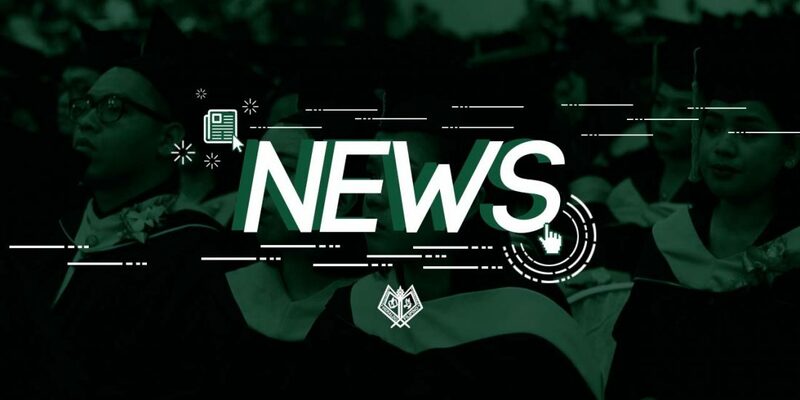 University Registrar Paulino Gatpandan stated that the receiving of booklets and entry cards was announced after the rehearsal practice because of the “tight schedule” of ceremonies. “Kasi isang Baccalaureate Mass lang ang schedule natin, so meaning lahat ng bata andyan so meaning hindi na kami naghati. Tight na kasi schedule natin.” Gatpandan explained that there was no reason for the Registrar to cut the schedule per college as well. 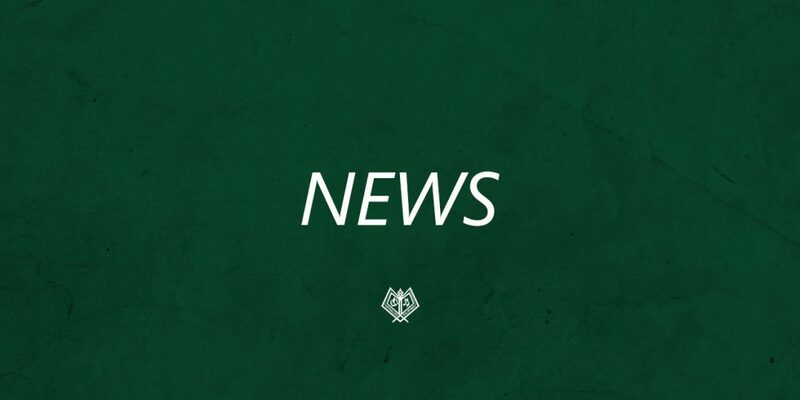 Regarding the program booklets going out of stock in the middle of distribution, Gatpandan explained that the contract with the supplier was not followed, as the supplier only sent the partial stock yesterday, June 27, and did not deliver the full stock this morning. “The agreement is it will be delivered this morning. That’s why we decided na [ang] ibigay na muna sa kanila is entry cards, and then tomorrow during the graduation is yung pinaka program na hindi naibigay”, he said, emphasizing that they are looking into finding a new booklet supplier for the next academic year (AY). 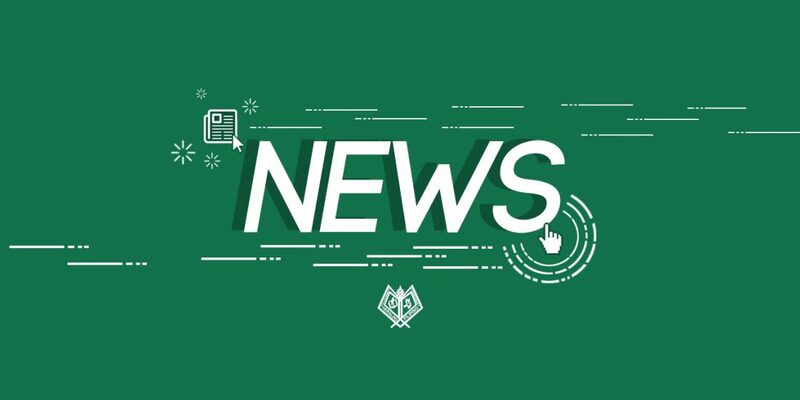 To prevent issues such as this from occurring again in the following AYs, the Registrar’s Office is planning to change the protocols of distributing the passes. “We were planning and thinking na right after ng [graduation] rehearsal, doon ibibigay ‘yong graduation program, not after the Baccalaureate mass,” Gatpandan stated. He furthered that the office is looking into strategies in addressing the graduating students’ concerns with one being the distribution of graduation programs right after the general rehearsals to avoid the congestion. 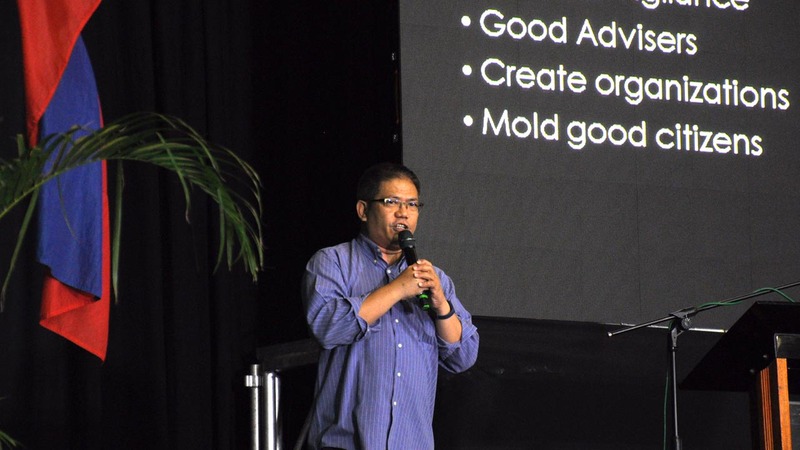 “Kung merong tatlong general rehearsal practice, tatlong batch din ng distribution ‘yong souvenir program, nang sa gayon kung sino lang ‘yong nag-practice ng ganoong day, siya lang ang bibigyan,” Gatpandan explained. Addressing the issue of some students’ names excluded in the program, he explained that it is due to late submission of grades, to be resolved through giving memoranda to college departments. “As early as [we can], magbibigay kami ng memo with the departments regarding doon sa mga timeframe ng serbisyo ng grades,” Gatpandan said.